Practicality and durability are featured in our classically styled 2000 Series Windows. The sturdy, dependable craftsmanship will beautify your home and improve its performance. A clean look, easy operation, and state-of-the-art technology combine to create windows that accentuate your lifestyle. With stylish, convenient features like recessed locks, tilting sash, and dual-pane glass, you’ll wonder why you didn’t replace your windows years ago. Let us help you improve your home’s curb appeal and efficiency with the Window World 2000 Series Vinyl Replacement Window. Multi-chambered, welded vinyl mainframe and sash provide superior strength and durability. Top and bottom sash are exterior glazed and aesthetically beveled to provide sleek, stylish sight lines and curb appeal. Double-pane insulated glass with a Duralite® warm-edge spacer system provides energy efficiency to keep your home comfortable in every condition. Metal reinforcements at meeting rail and latch ensure strength and protection against wind and weather. Interlocking center rails provide a firm seal for enhanced weather-tightness. An easily removable half screen gives you the freedom to let air in while keeping pests out. The welded, true-sloped sill provides beautiful, effective protection from water infiltration. A patented detent clip keeps the top sash from drifting. Recessed tilt latches can be released to tilt both top and bottom sash into the home for easy cleaning. The spring-loaded vent latches allow for overnight ventilation. Series consists of double-hung, double sliding, picture, and architectural shape windows. SolarZone insulated glass packages are offered as an upgrade to help you reduce heating and cooling costs while keeping your home more comfortable. In warm weather, SolarZone reduces solar heat gain, minimizes interior glare, and lowers inside glass temperature to save energy and make your home more comfortable. In cold weather, the SolarZone package provides outstanding thermal performance with warmer inside glass surfaces to help save energy and maintain comfort. our 4000 Series Replacement Windows to suit your needs. Choose to upgrade with our SolarZone™ glass packages to help improve thermal performance and ensure energy cost savings. 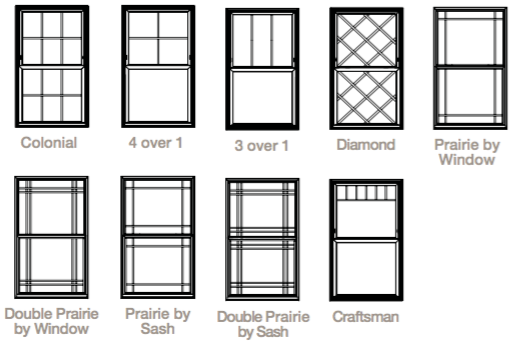 A variety of operational configurations gives you the ability to select the window style that will make the most of your home. 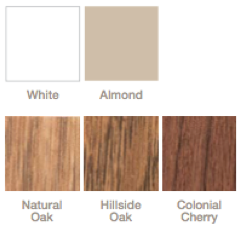 Add our white and almond color offerings, interior woodgrain laminates or stylish bronze exterior laminate, plus multiple distinctive grid patterns, and you can beautifully achieve your design aspirations. After Window World’s expert installation, you’ll rest assured knowing you’ve chosen the best quality windows available. Welded, heavy-duty vinyl construction provides superior strength and durability while multiple hollow chambers in the mainframe create sealed air spaces for an effective insulating barrier. The beveled exterior edge adds style and curb appeal to an already sleek design. Dual-pane insulating glass creates a sealed air space between the panes that is enhanced by our Duralite® warm-edge spacer system. Metal reinforcements at the meeting rail add further stability. Recessed cam locks secure your window without interrupting sight lines. Heavy-duty weatherstripping and interlocking sashes help to keep weather and wind outside. An easily removable latching half screen gives you the freedom to let air in while keeping pests out. Featuring Clarity® mesh, the screen allows you to focus on what’s important: the view. Recessed tilt latches can be released to tilt both top and bottom sashes into the home for easy cleaning. The patented detent clip keeps the top sash from drifting while a constant-force balance system ensures both sashes will stay where you put them, no matter the position. Balance channel covers ensure a polished look. Spring-loaded vent latches allow for overnight ventilation while giving you added peace of mind. Welded, true-sloped sill directs water away from the home and eliminates unsightly weep holes. Full-length lift rails on top and bottom sashes provide convenient, easy operation. Heavy-duty tandem rollers ensure easy, consistent operation. Two- or three-panel configurations are available. Our SolarZone™ insulated glass packages help you save on heating and cooling costs while also keeping your home more comfortable. In warm weather, SolarZone reduces solar heat gain, minimizes interior glare, and lowers inside glass temperature to save energy and keep you cool. In cold weather, SolarZone helps to keep the heat inside your home by providing thermal protection that keeps the inside glass panel warmer. 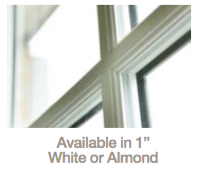 1Window values are based on double-strength glass, standard 4000 Series offering with metal reinforcements. ST and HP performance values are also available. 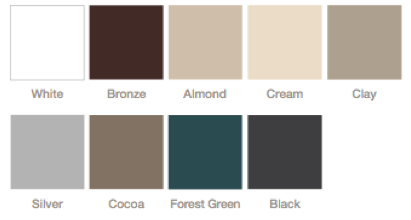 Window World offers a wide variety of color options to complement the interior or exterior style of your home. Classic extruded vinyl colors are enhanced by expertly applied interior woodgrains and rich-hued exterior finishes. The high-performance coatings provide low-maintenance, durable color while combining the look of wood-crafted windows with the energy efficiency of vinyl. From simulated divided lite grids, which convey a historical look, to grids-between-the-glass, which allow for easy cleaning, Window World’s variety of grid options has something for everyone. Grids are available in numerous colors, sizes and patterns to help achieve your desired aesthetic. 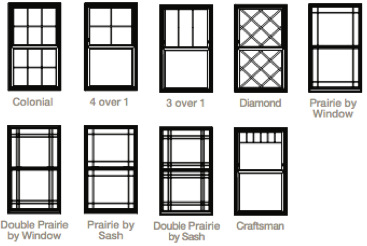 Many standard and custom window shapes are available to fit a wide range of spaces. Unmatched energy efficiency, created by exquisite attention to detail inside and out, makes the Window World 6000 Series an elegant, first-class window. 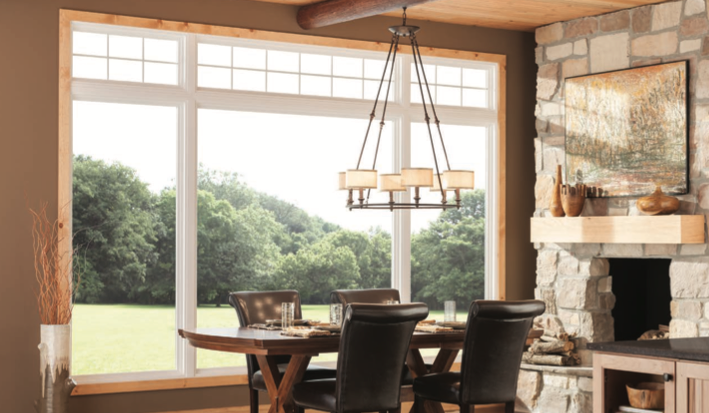 Triple-pane glass, foam-enhanced frame, and numerous decorative options make the 6000 Series Window the top-of-the-line selection in Window World’s product offering. Our SolarZone TG2 Elite™ glass package makes our 6000 Series one of the most energy-efficient window options on the market. Carefully crafted styling ensures you won’t sacrifice beauty for brawn, and options for double-hung, double sliding, and fixed configurations give you the ability to choose the window style that best fits your space. 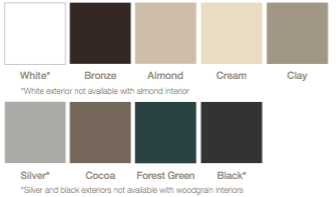 Interior woodgrain laminates or stylish bronze exterior laminate complement any existing color palate. After Window World’s expert installation, you’ll rest assured knowing you’ve chosen the best quality windows available. Welded, heavy-duty vinyl construction provides superior strength and durability. High-density foam enhancement throughout the mainframe offers superior thermal protection. SolarZone TG2 Elite™ triple-pane insulating glass enhanced with both Low-E coating and argon gas ensures the elements won’t make an impact on the comfort of your home. A Duralite® warm-edge spacer system further improves energy efficiency. The beveled exterior edge provides style and curb appeal to an already sleek design. Metal reinforcement in the meeting rail enhances strength and protection against wind and weather. A patented detent clip keeps the top sash from drifting while a constant-force balance system ensures both sashes will stay where you put them, no matter the position. The welded, true-sloped sill directs water away from the home and eliminates unsightly weep holes. 1Window values are based on double-strength glass, standard 6000 Series offering with metal reinforcements. ST and HP performance values are also available. 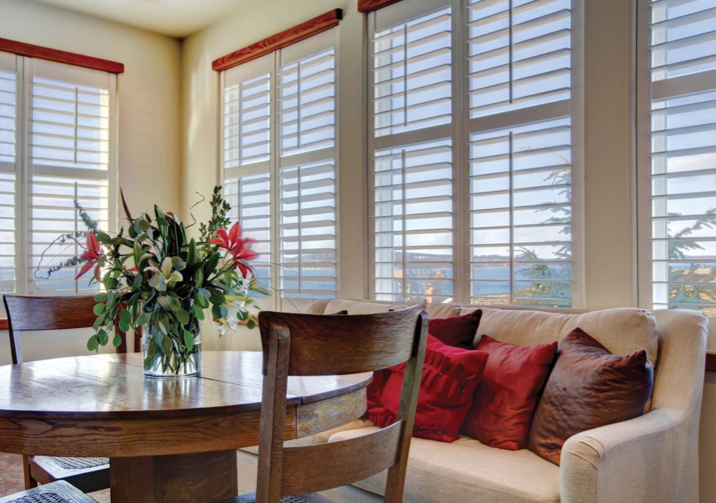 Window World offers a wide variety of color options to complement the interior or exterior style of your home. 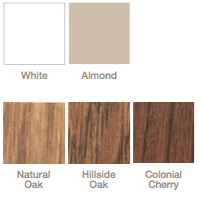 Classic extruded vinyl colors are enhanced by expertly applied interior woodgrains and rich-hued exterior finishes. The high-performance coatings provide low-maintenance, durable color while obtaining the look of wood-crafted windows and the energy efficiency of vinyl. Simulated divided lite grids achieve a historic look. Grids-between-the- glass allow for easy cleaning and are offered in a variety of colors and sizes. Grids are available in a variety of patterns and all interior and exterior colors to help you achieve your desired aesthetic. 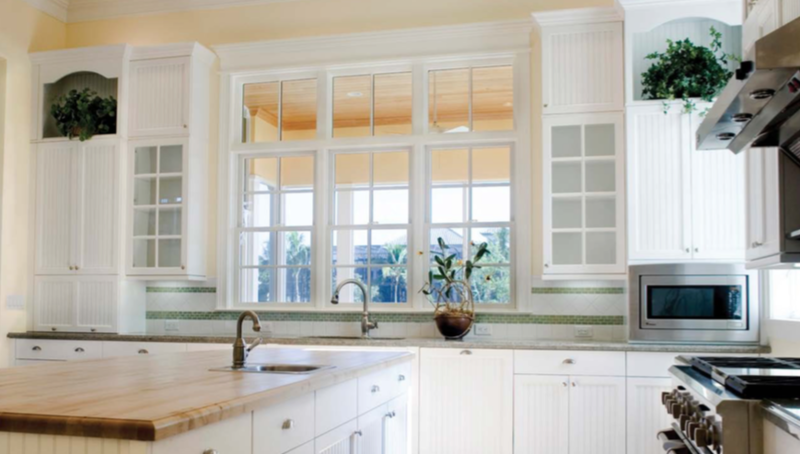 Think double-hung windows could be right for your Space Coast home? Contact us today for your free home estimate!